This year the Austrian broadcaster ORF has made an internal selection to determine the Austrian entry for Kiev. The choice felt to Nathan Trent with the song “Running On Air”. 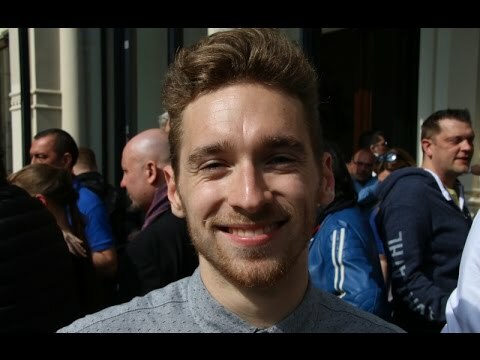 Nathan has also been among the top 33 candidates for the German national final, but when he was announced by ORF he withdraw from the German show. Nathan Trent, whose real name is Nathanaele Koll was born in Innsbruck in 1992. He has got an Austrian father and an Italian mother, so Nathan grew up bilingually. Thanks to the fact that his father is a violinist, Nathan began to play the violin and piano in the age of three. Later on he appeared in children musicals. In 2003 he participated in the Kiddy Contest and in 2011 he performed at the X Factor with his band Boyz II Hot and reached an 11th rank. Nathan studied music entertainment theatre in Vienna. With his debut single “Like It Is” he could even convince the ORF to pick him as representative for the ESC. 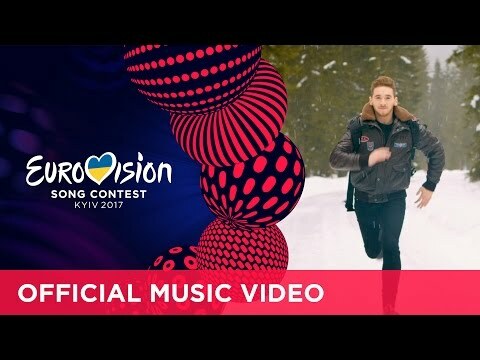 The Austrian entry is called “Running On Air". This song has been co-composed by Nathan himself together with Bernard Penzian, supposedly within 20 minutes. The song is an easy going pop song, with no extremes. This might be a secure bank for Austria, but will it be enough to shine through in Kiev? The very sympathetic singer will spread out a lot of good energy, this is for sure. The video clip is showing Nathan in a lovely Austrian winter landscape singing his radio friendly song. For Austria it’s the 50th anniversary in the Eurovision Song Contest. Thanks to Conchita Wurst, Austria could win the ESC for a second time and was a wonderful host country in 2015. The Vienna ESC 2015 was truly magical and showed the city and the country in the best possible light. The Austrian debut song “Wohin, Kleines Pony” by Bob Martin made the last place in Frankfurt in 1957. This should not be taken as bad omen, as there were quite a lot of successes over the years. 45 times the Grand Final could be reached and at least Austria could get a Top10 position for 22 times. The biggest moments for Austria were of course Udo Jürgens’ entry “Merci Chérie” in 1966. To our all regrets Udo Jürgens passed away in 2015. He started a very successful career, not only in Austria and Germany, even beyond. He composed more than 1000 songs and released 50 albums and sold more than 105 million albums. Luckily he was able to witness the second Austrian victory “Rise Like A Phoenix” by Conchita Wurst in Copenhagen 2015. This was a truly revival of the “Sleeping Beauty Austria”. Firstly criticised in its own country, later celebrated as hero - Conchita has shown what tolerance and freedom really means to the entire world. Conchita also become a kind of icon for the gay and lesbian community and stands for equal rights. After her victory she travelled around the world, has been invited to TV shows in Australia and performed in the UN headquarters in Vienna. Austria has mainly participated on a regular basis, but in recent years they even paused due to unsuccessful entries. But the Austrians came back with more enthusiasm and new energy. Nadine Beiler sang “The secret is love”, she has qualified for the grand final in Düsseldorf and made the 18th rank with a stunning performance, the host country Germany awarded this with 12 points! The old twist between Germany and Austria regarding the voting has smoothened.